PET Recycling Team Wolfen recycles the PET from household recyclables - Pzwei. Pressearbeit. Hard/Wolfen, 28 March 2019 – The two specialists in packaging solutions – ALPLA in Austria and FROMM in Switzerland – are founding a joint venture to form a new basis for their collaboration in PET recycling. PET Recycling Team Wolfen will be dedicated to recycling the PET waste from the Gelber Sack (‘yellow bag’ – German bin for household recyclables). PET Recycling Team Wolfen will recycle the PET from the yellow bag, initially focusing on PET rigid packaging – most notably non-deposit food and beverage bottles as well as bottles for cleaning products. ‘We want to process the clear bottles from the yellow bag in such a way that the material can be used in the production of new bottles. We create flakes out of the coloured PET for use in the manufacture of strapping bands,’ says Georg Lässer, Head of Recycling at ALPLA. ALPLA is one of the leading companies involved in plastic packaging. Around 20,800 employees worldwide produce custom-made packaging systems, bottles, closures and moulded parts at 178 sites across 46 countries. The high-quality packaging is used in a wide range of areas, including for food and drinks, cosmetics and care products, household detergents, washing and cleaning agents, pharmaceutical products, engine oils and lubricants.ALPLA operates its own recycling plants: PET Recycling Team with a site in both Austria and Poland, and in the form of a joint venture in Mexico. 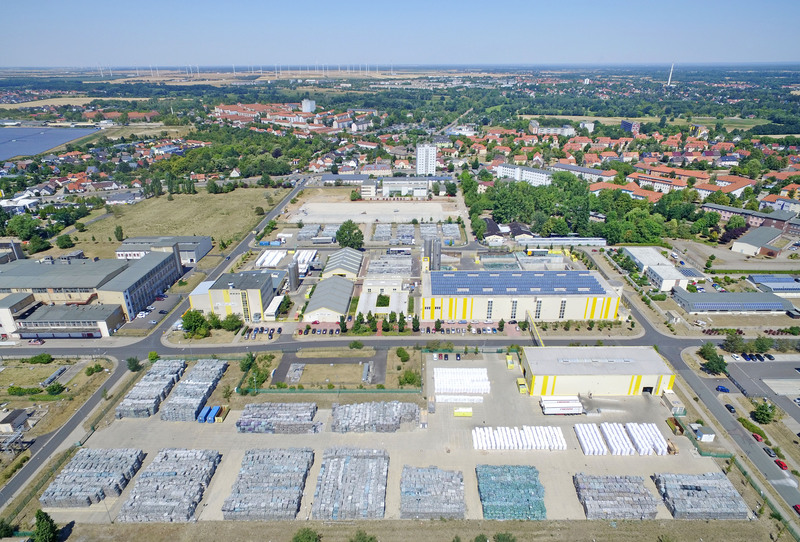 A collaboration with FROMM/Texplast in Germany has been in place since July 2018. The FROMM Group is a leading global company producing load securement systems for the transportation of goods and has over 70 years of history. Over 1,200 employees develop, produce and distribute tailored packaging solutions for customers with around 40 companies across six continents. FROMM specialises in strapping bands, air cushion packaging and stretch film, as well as the corresponding machinery and equipment. FROMM has production sites in Italy, Germany, USA, Thailand, Chile and Slovakia. Texplast GmbH is a wholly owned subsidiary of FROMM Plastics GmbH in Kölleda. 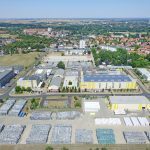 The company has over 100 employees and, with an input capacity of over 50,000 tonnes of bottles per year, is one of the leading recyclers of rPET in Western Europe, in particular for used beverage bottles. Texplast produces flakes for applications in the plastics industry, particularly the Group’s in-house band production, as well as regranulate for the production of food packaging.